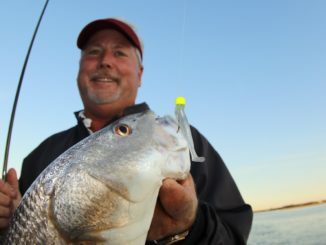 What do anglers want for Christmas? 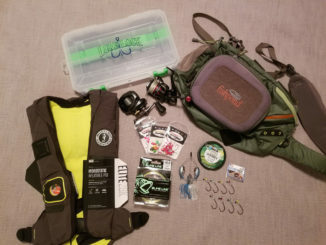 Fishing gear, of course! 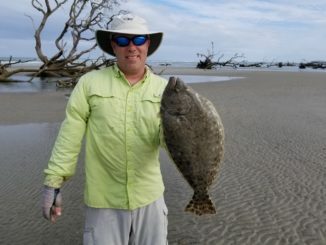 October was a big transition month for saltwater fishing in the Carolinas, and by November, the water and air temperatures have cooled off considerably, but those aren’t the only changes. 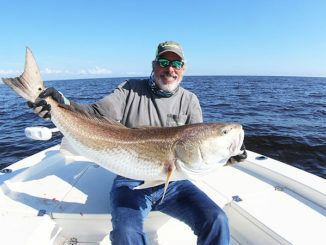 October is the month for trick-or-treating, but most inshore anglers are less focused on Kit Kats, Starlight mints, and bubble gum than they are on redfish, speckled trout and flounder. 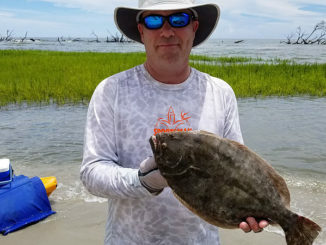 This is the best time of year to catch the “inshore slam,” and with a little luck, anglers can make it a “grand slam” by adding a black drum to their day’s catch. 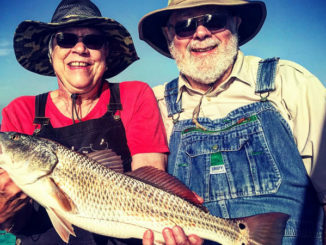 When I first began using artificial lures for inshore saltwater fishing, I was with a friend who had been catching redfish and trout on soft plastics for more than a decade. He made it look easy, and after watching him catch a few trout one morning when I was still waiting for a bite, I paid really close attention to what he was doing and mimicked it as best I could. Circle hooks have long been known, thanks to their design, to hook most fish in the corner of the mouth, and I’ve been using them for about 10 years while chasing inshore fish. But this year, for the first time, I gut-hooked a pretty good number of redfish and speckled trout while using circle hooks. During a long day of fishing in the summer, all I want to drink is cold water; nothing quenches thirst like it. I’m a big fan of sweet tea and Pepsi, but when I’m genuinely hot and thirsty, they won’t do. A good, cold bottle of H20 goes down easy, keeps the body hydrated and leaves no aftertaste. It happens to almost every angler. 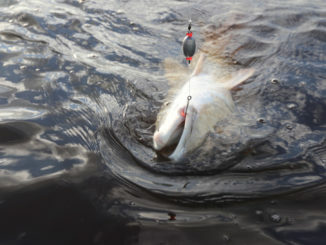 You hook a trophy fish that has your drag screaming and your rod doubled over. 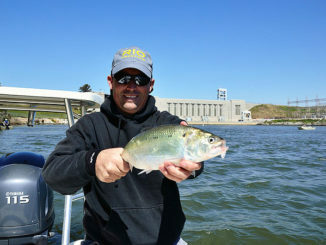 The battle lasts several minutes, and you finally get a few looks at the fish, which you estimate to be one of your biggest ever. 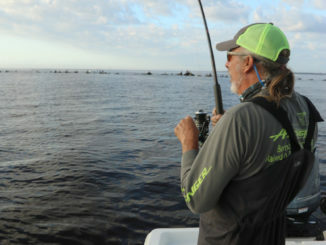 I have to admit that I was skeptical watching my buddy bait a hook on a slip-bobber rig as we were letting the anchor and tide settle us into a good sheepshead spot over the submerged section of a rock jetty. 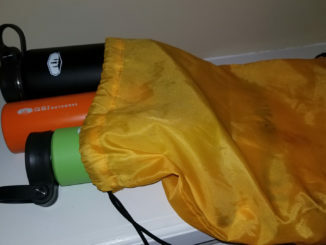 I thought the whole rig would just get in our way fishing the rocks, but it worked so well that I’ve used slip-bobber rigs numerous times since.